FREE two games and shoe rental. Pizza will be served in the BMES Clubroom after the game. *Players must be current members of the National Biomedical Engineering Society. Not a member yet? Register at https://www.bmes.org and send us a copy of your confirmation. Everybody will receive a reminder. Don’t forget to wear socks! MOS Plastics Inc manufactures high-precision custom plastic injection molding for medical and electronic companies since 1974. We have given the opportunity to see their manufacturing facility in San Jose on Thursday, March 14, 2019. Space is limited. Please RSVP asap. If you can carpool, please indicate how many people you can take with you on the comment section. Sorry! We have missed you. To all that have signed up, see you there! Please Venmo @JaneBercilla $20 if you have not done so. Thank you! For questions, email janeross.bercilla@sjsu.edu. There will be prizes given to winners.!! If you are interested in applying for a summer internship and/or graduate program, please save the date of these upcoming information session. Professor Tejal Desai will be speaking about her research on Therapeutic Microtechnology and Nanotechnology on Thursday, October 11 from 12:30-1:30pm ENR 285; She will be looking for interns for her summer research program. On October 30, Baylor University will be having a speaker presenting their Graduates Program for those are interested in applying for graduate school; there will be free pizza for those who attend this event. Please sign-up on the google sheets below before the presentation dates. Thank you. 8 Teams of 6, the 4 teams with the highest score wins a pizza party at Sammy G’s. FREE Two games and shoe rental! Don’t forget to wear socks, and bring your game face! *Players must be members of National BMES. The Biomedical Engineering Society at San Jose State would like to cordially invite you to our Welcome BBQ on Orientation day. The undergraduate orientation starts at 4:00 PM and ends at 5:00 PM. This BBQ is between the undergrad and graduate orientations. The undergrads will come to the BBQ after their orientation at around 5:00 PM. The graduate orientation starts at 6:00 PM. 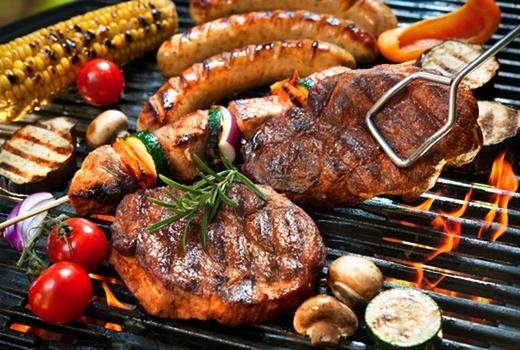 The graduate students will come to this BBQ before the graduate orientation (maybe around 5:00 PM), grab some food, socialize, then go to their orientation at 6:00 PM. Please RSVP by Monday August 13th, 2018. No, I can eat pretty much anything! 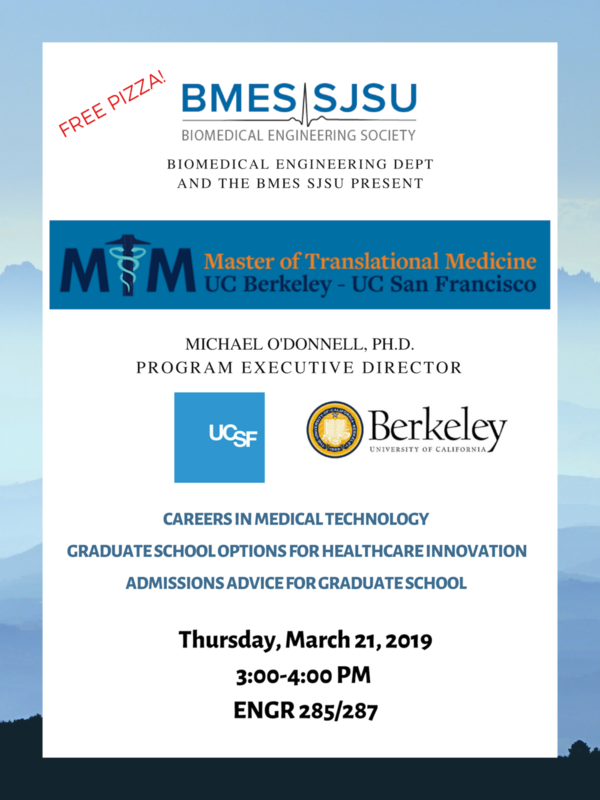 You must be a current undergraduate or graduate student at San Jose State University with an active (NOT EXPIRED) BMES registration. You must register for the Early bird student member. Sign up to be a volunteer and complete two 4-hour shifts. Did you volunteer for the 9th Annual Bay Area Biomedical Device Conference * Yes, I did! No, I missed out. Have ideas or want more information on events?